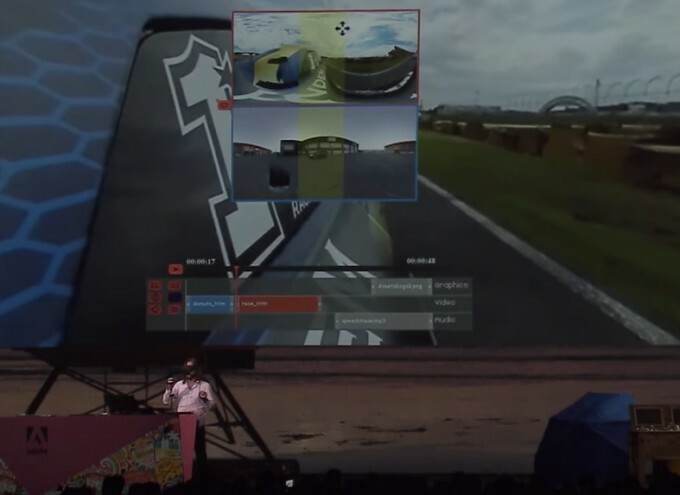 Adobe have down off their solution for editing immersive 360 VR videos within VR itself as they took to the stage at their annual ‘MAX’ event last week to demonstrate their prototype in-VR editor for Premiere, ‘CloverVR’. 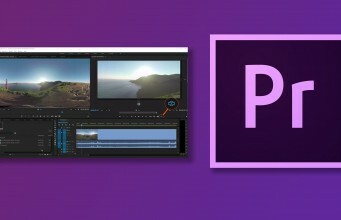 Adobe Premiere is almost ubiquitous in video editing circles, from hobbyist user all the way through to industry professional. Who better than Adobe then to try and tackle the not insubstantial issues and challenges facing video editors as they’re increasingly asked to tackled immersive video, shot to be viewed in VR? The challenges are multitudinous of course and with such an early and developing format of film making (already split into various sub formats), but the primary problem is the same a developers working on VR games and applications – you need to be ‘in’ the experience to understand and from there build or edit it. Adobe is clearly acutely aware of these issues and are keen to tackle them, so they demonstrated a short sneak peek session at the annual Adobe MAX conference in Las Vegas last week. Adobe’s Steven DiVerdi took to the stage armed with an Oculus Rift and two Oculus Touch controllers to who off ‘Project CloverVR’, a prototype in-VR video editor for Adobe Premiere which allows the assembly of 360 video from within virtual reality. DiVerdi aptly demonstrates first the issues with snipping 360 video in the traditional 2D toolset. If you’ve ever looked at a 360 YouTube video outside of a VR headset you’ll know the problem too, that they don’t make a lot of sense to the human eye. Providing context and direction in 360 videos then becomes challenging as the editor has to continually preview the video within VR to ensure things are making sense. Functionally, CloverVR does indeed look early, but DiVerdi showed off a feature to help tackle that issue of context but flipping between two adjoining scenes to from a preview interface overlaid onto the active video view. No word was given as to the timeline for CloverVR appearing in products we can actually use and it certainly looked like the interface has some way to go to match the overwhelming plethora of options in the standard Premiere interface. But, should Adobe manage to pull off a motion controlled, intuitive UI they may reduce headaches for the growing number of VR videe editors out there. The post Watch: Adobe Shows Off In-VR Premiere Video Editor ‘Project CloverVR’ appeared first on Road to VR.